Plumbing Repair & Service | Contractors | Plumbers in Philadelphia | Buzz Duzz Plumbing & Heating, Inc.
Buzz Duzz Plumbing, Heating and Air Conditioning have proudly been serving the Philadelphia and Bucks County area since 2007. We pride ourselves on being a local solution while offering honest and fair prices with a 100% customer satisfaction guarantee. We look forward to helping you with your plumbing and heating needs: central air conditioning, water heaters, drain cleaning, etc. – we do it all! Whether it's a new installation or routine service, our factory-trained technicians provide the expertise your comfort depends on. We're pleased to serve both residential and commercial customers. Some of our most notable customers include Philadelphia Housing Development Corporation (PHDC), HELP, and other departments in the city of Philadelphia. Our team is prepared to help you with the sales, service, and installation of the comfort system that is ideal for your home or business. 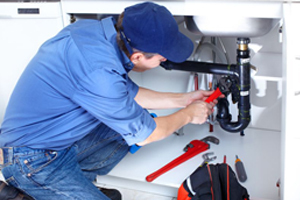 At Buzz Duzz, Plumbing and Heating, we repair all makes and models. Be sure to ask Buzz Duzz for a free estimate on new installations and plumbing repairs! Here at Buzz Duzz, we pride ourselves on fast emergency service!